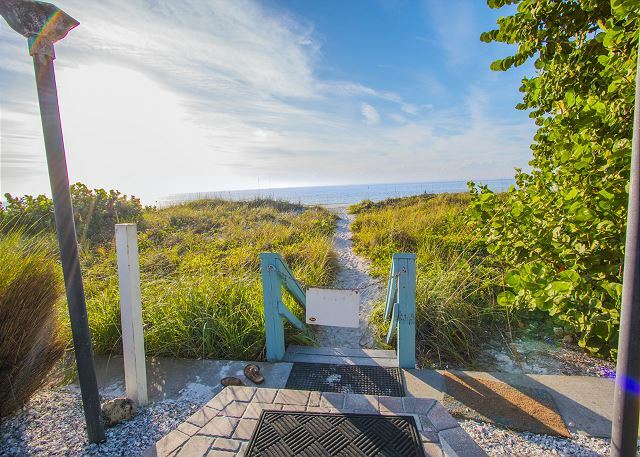 Beach front vacation rentals don't get any better than BeachHouseFL's Beach Trail Beauty. 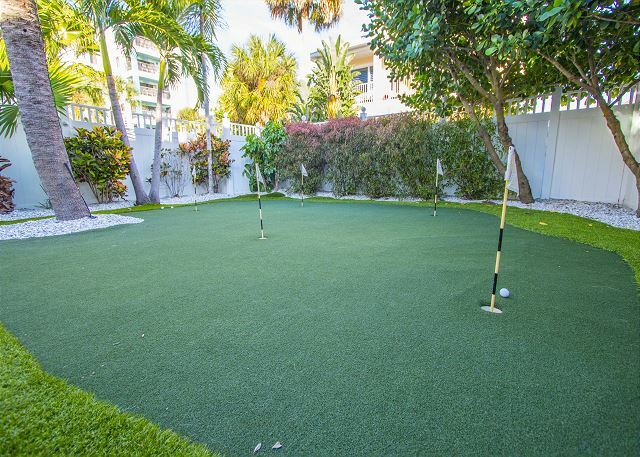 This Florida Beach Rental sits directly on sand with a huge patio around a private heated pool, hot tub and private putting green. Watch the prettiest sunsets in the world from you private patio. 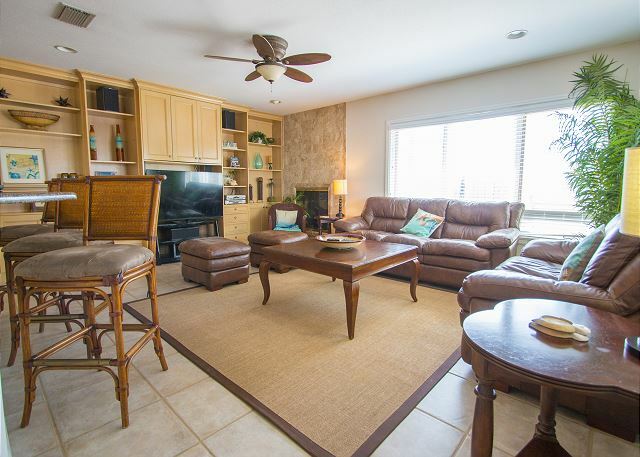 Sitting between pool waterfalls fire pit, private putting green, incredible grill with T.V. and bar area. 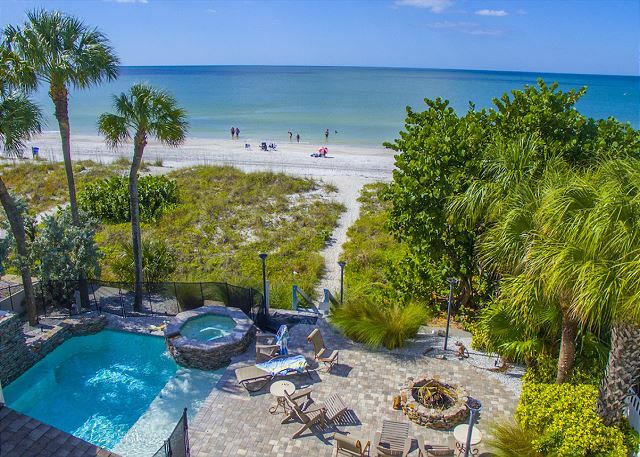 This Florida Beach Rental is the one everyone wants. 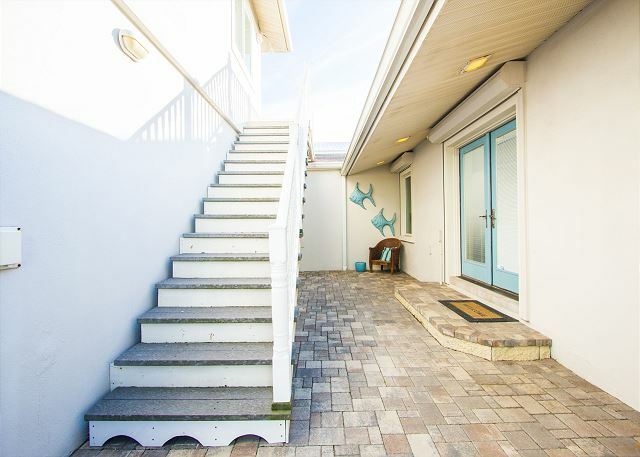 New to us, this beach front vacation rental treasure will fill up very fast so please plan in advance to avoid disappointment. 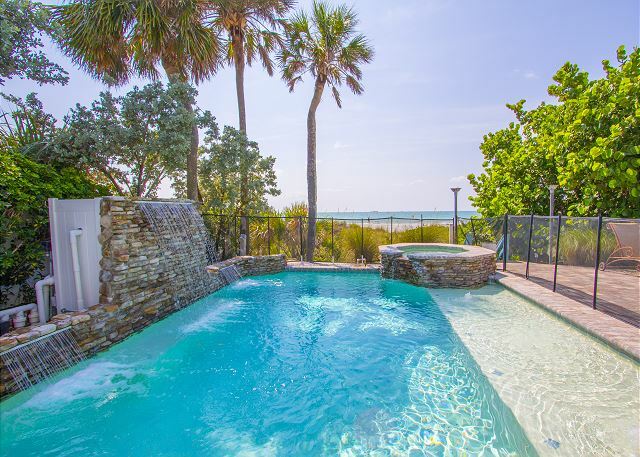 This incredible property is one of our beach front luxury Florida beach rentals and books up early. We do have last minute special price cuts on cancellations. Please check our official calendar on this site for real time availability and to hold the house online. Online bookings do get preference and there is no obligation to holding any of our houses online. Lowest prices in Sept., Jan., Oct., and Nov. 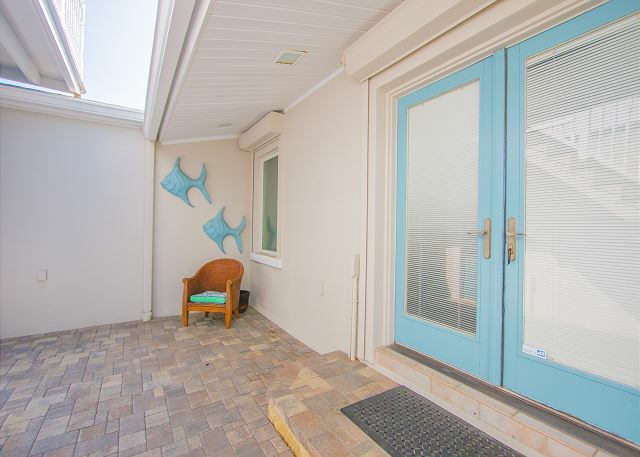 Sweeping decks on a covered patio offer views of the white sandy beach and the sparkling blue water of the Gulf of Mexico. 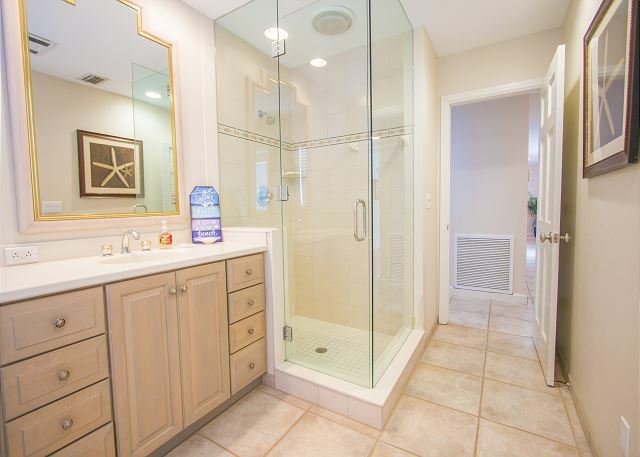 Fantastic gulf front home with the finest amenities! 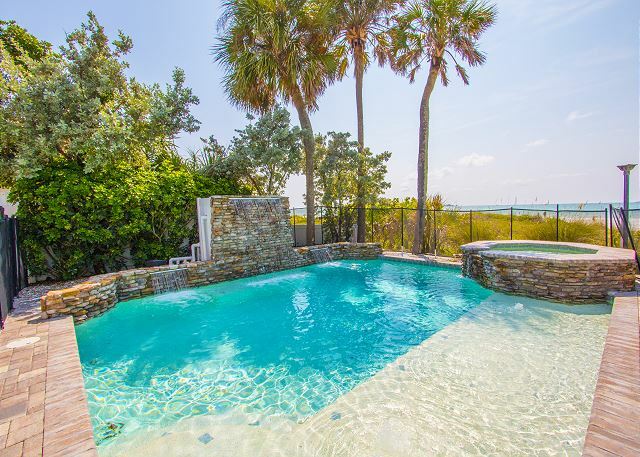 Enjoy the privacy of your home with an oasis style pool and the Gulf of Mexico as your backyard. You enter this home through a gated and walled courtyard. 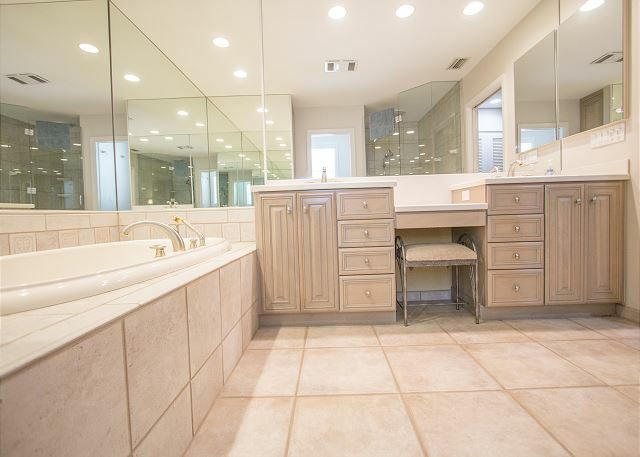 the home has an open floor plan with a large gourmet style kitchen with subzero fridge, wood cabinetry, wet bar, wine cooler, and granite countertops . 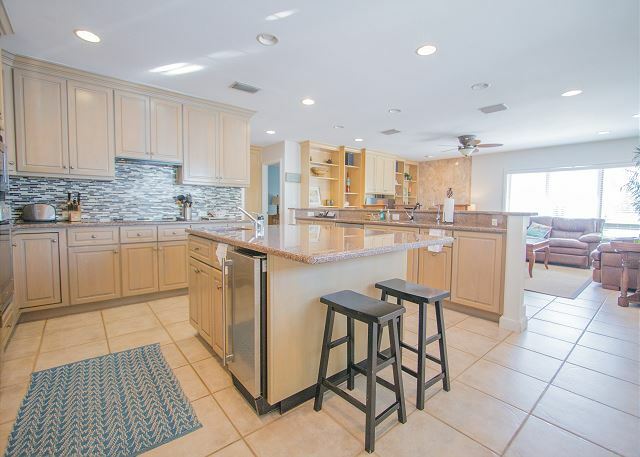 This beach house rental home's kitchen is designed for entertaining with wrap around bar space to accommodate guests adjacent to the family room. 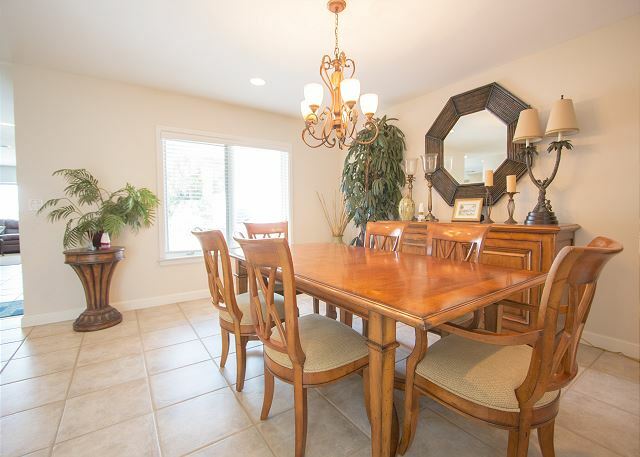 Gather in the elegant and separate formal dining room. 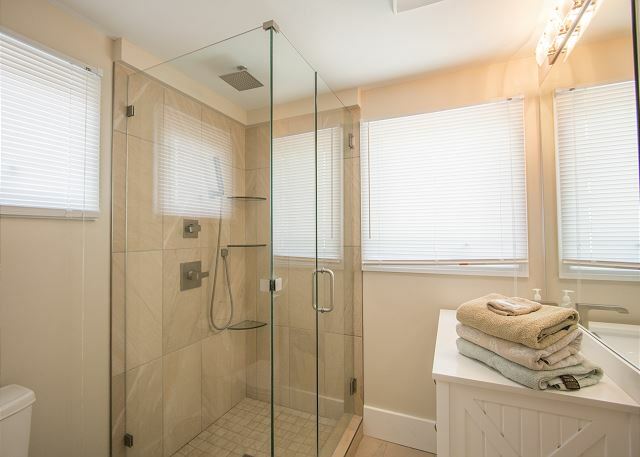 The vacation rental house boasts a large master bedroom with a master bath that features a whirlpool tub, all glass shower stall with multiple shower heads and his and her sinks. 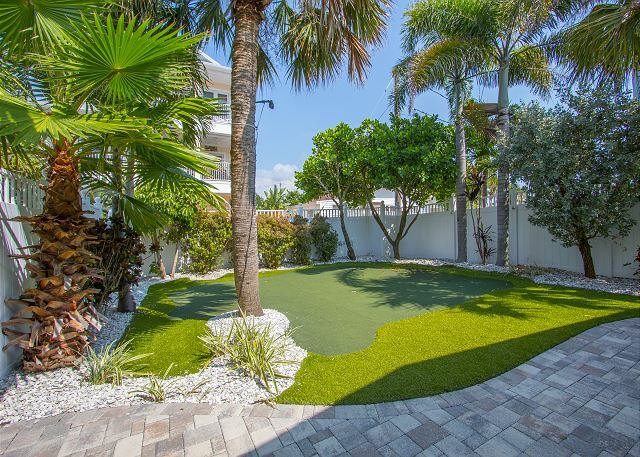 The outside area of the Beach Trail Beauty vacation beach rental is as nice with a putting green, outdoor grill area with TV, fire pit and a resort style heated pool (pool heater has an additional fee, if requested) with a waterfall, beach area, hot tub and color changing lights. 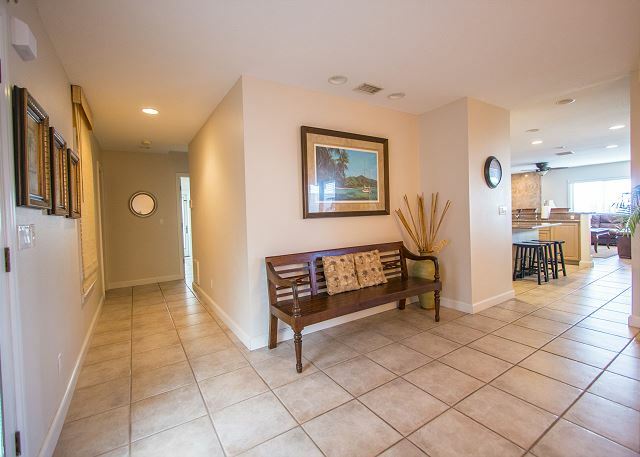 This home also has a detached 1 bedroom/1 bath apt over the garage (which is part of the four bedrom and three bathrooms) for friends or family when you need the extra space. 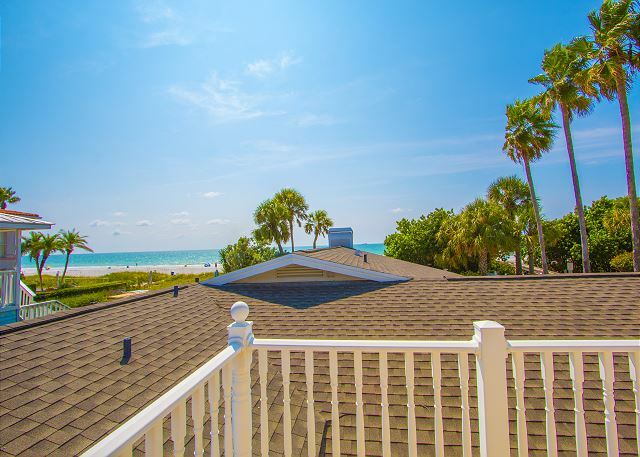 Beautiful home, beautiful beach, and wonderful location. We had a few small issues which the rental people addressed immediately. We had three small children with the group and it was a great, safe space for all of them. Can’t wait for our family’s return visit! We stayed at the beach house over Thanksgiving week. The house was clean inside and out. The beds were comfortable. The pool and spa were great and we enjoyed many sunsets on the beach from the backyard. Indian Rock Beach area was lovely. We did not have a bad meal and loved being able to walk to a few places to eat and drink. We had a great time. Brought children and grandchildren for Labor Day Weekend. House was spectacular. 4 bedrooms, large kitchen, living area. Small pool but the beach and Gulf are right there. Fully equipped kitchen but bring your own food. 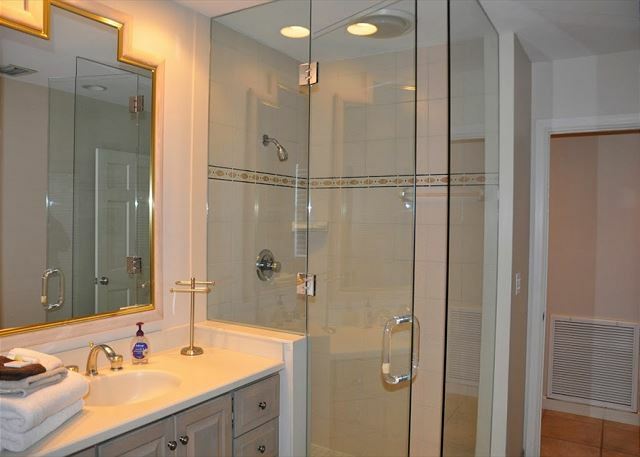 Towels and sheets supplied. A little difficulty getting the hot tub to work but it did. 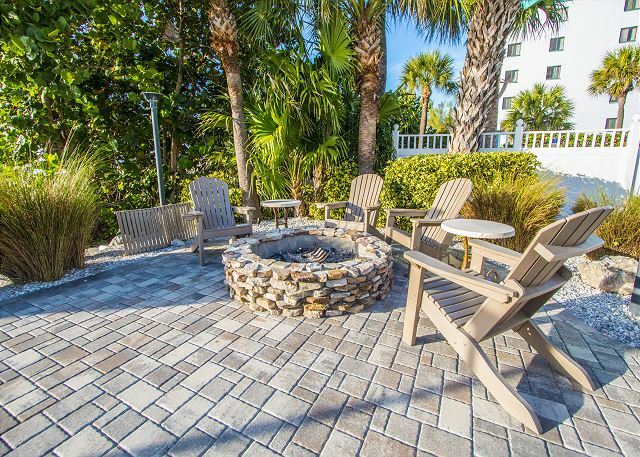 Also fire pit and chairs near the pool for nighttime chatting and cooking marshmallows. 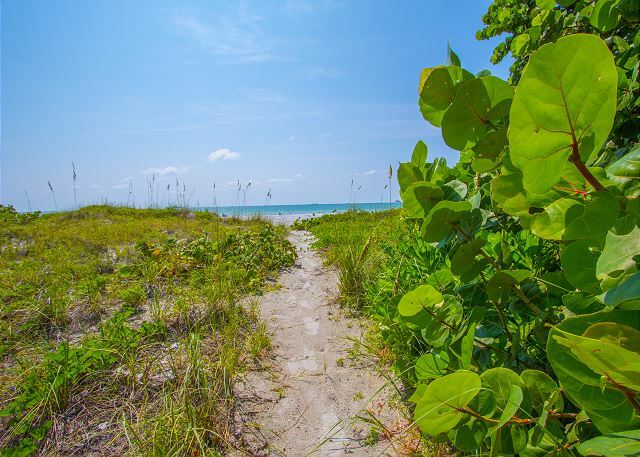 Thank you for your review and for choosing our "Beach Trail Beauty by BeachHouseFL". We are happy to hear that you enjoyed your stay and I’m looking forward to having you again as a guest in our home. This is a great place. 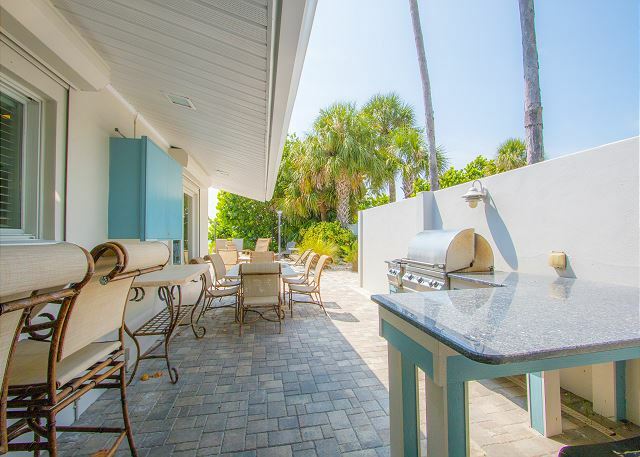 So nice to be steps to the beach and have a pool and grill at your fingertips. Property management was helpful. I would recommenced this place and use it again. The only negative thing I would say is that the air conditioner had a hard time keeping up but it was July in Florida. Still, you will not be disappointed. Great place for the whole family. itself is cimfortable and in good shape. We would stay here again. A wonderful week at the beach!! My two sisters and my daughter shared this home with me. 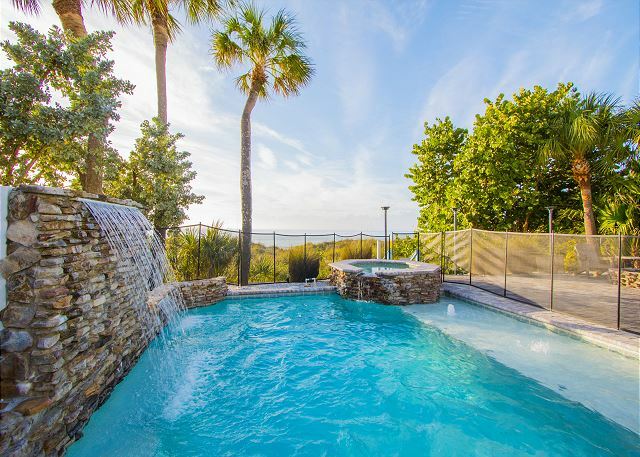 The location is direct gulf front with a pool and spa in the backyard. The yard has a paver deck, so it is very nice to sit and watch the water. While there is public beach access directly to the North, people or noise were never a problem. 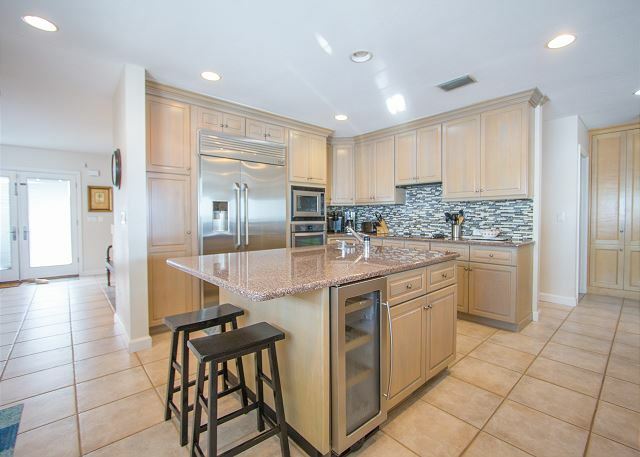 The house is furnished comfortably with a large open kitchen. We were able to visit while one person cooked. The gas grill was also used and we dined outside frequently. My daughter took the garage apartment which was large and well equipped and perfect for someone with young legs! The beds were comfortable, the internet worked great and the house had plenty of towels. We would definitely stay here again. Very pleasant experience. The house was excellent & clean. I had a couple of requests before arrival and the response to these requests was attended to promptly. Location was great with Gulf right in the backyard. I would definitely recommend this property. 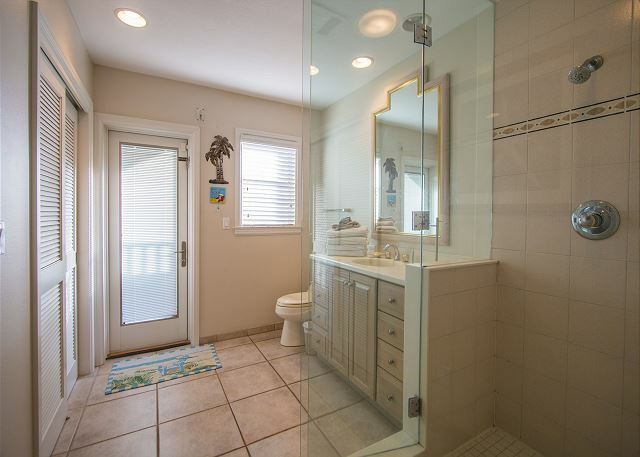 Nice property on the beach, great private pool/hot tub plenty of towels for all and space. Would stay again. We spent Thanksgiving week at this property and loved it. We were three generations and everyone was happy! There is plenty of room to spread out inside, and the outside space was delightful. The home is exactly as depicted in the photos online. Restaurants are within walking distance, although we ate in most of the time. The kitchen was great! Id recommend this house to anyone! This house was perfect! 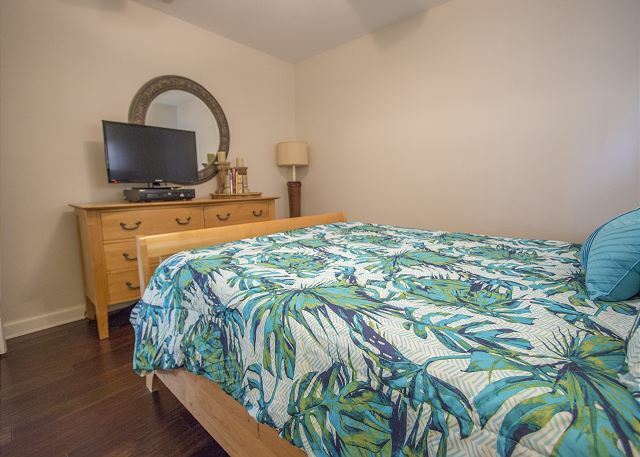 It was clean, tons of amenities, huge kitchen, fantastic pool and the closest private walk to the beach! It was absolutely perfect for our family of six and could easily sleep a few more! Me and the guys went down for a weekend vacation to celebrate my friends marriage once we got there the pictures didn't even do the property justice it was an amazing experience we had so much fun from the beach to the pool the whole house is plenty big enough to accommodate us we were very satisfied with our stay we will definitely not only deal with BeachHouseFL but also probably stay at the property again! Thank you for enjoying the house. WE look forward to have you back soon! Looking forward to returning again and again! 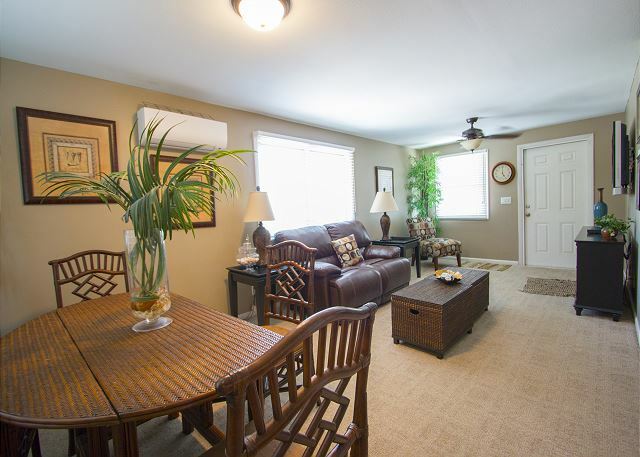 Nothing beats the location and amenities this house has to offer! Thank you for the wonderful review! Look forward to having you back again soon! Stayed in December with wife and kids and was great way to spend Christmas. Management company and the lady we worked with were excellent. Didn't bother them that I had several calls and questions first 2 days. They took care of everything except for the large ice maker which was beyond what could be fixed on short notice. 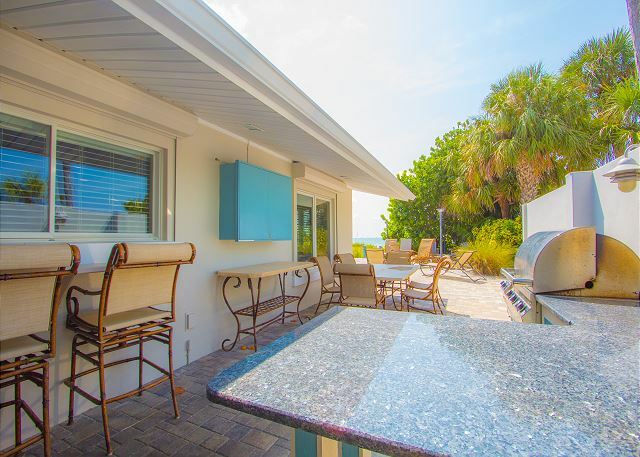 Despite that this location was excellent on the beach, firepit, putting green, great house, close to liquor store, restaurants. Would stay here again. Suggestions for others..we found firewood at grocery store over the causeway and had fire at least 8 of the nights. We paid extra for the heater to heat the pool yet hardly needed it as the beach and hot tub were more than enough. Had to call to get instruction of the operation of pool and hot tub by the way. Parking was great and could have parked 4 or 5 vehicles others around us were jealous. 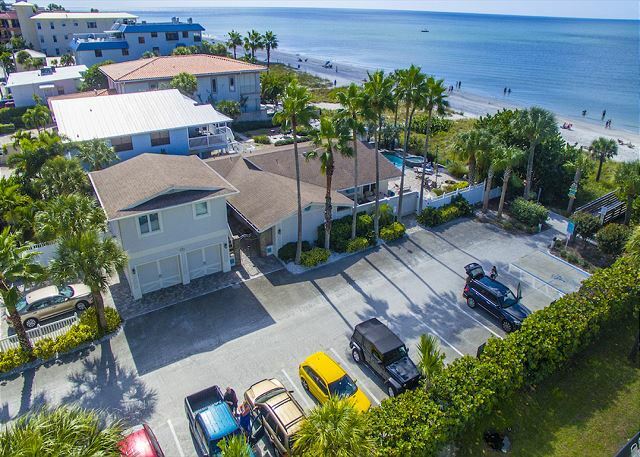 Great location and view and access to beach excellent. Management were best I have dealt with over the years. Thanks! We had a great time at this house for a week in February. 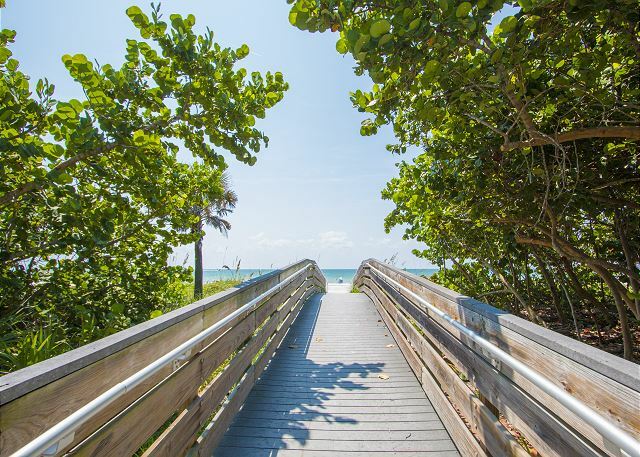 The location is great and the ability to walk to the beach is tough to beat. There is ample parking and it's nearby restaurants and shops. The courtyard area is completely closed off, which was nice for us with kids. The only issues we had were with the appliances. The refrigerator died during our stay and was going to need to be replaced. The outdoor grill didn't work properly (our burner didn't work and it didn't get hot enough, however a new grill was delivered during our stay and I assume is now installed). The dishwasher was also intermittent. Thank you for the great review and time you had. There is a new fridge and grill there now. We hope you come back soon! 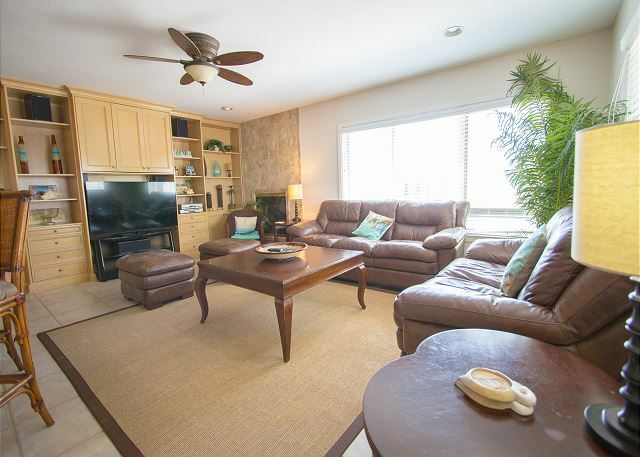 great house for a group vacation, location is great with direct access to the beach plus private pool. Some friends and I stayed at the Beach Trail Beauty for a long weekend, and were very impressed. The house was clean and modernized with all the kitchen-ware extras which made for a comfortable stay. 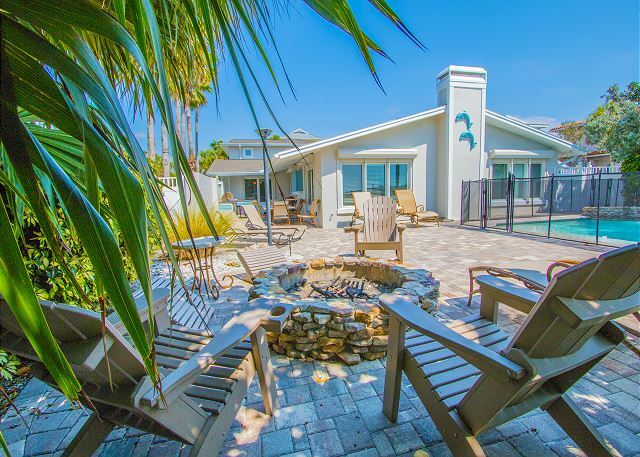 The pool, hot tub and fire pit right outside create an awesome vacation atmosphere, and the beach couldn't be any closer. We also enjoyed being near some local cafes and tiki bars for a change of scenery, but we honestly didn't need to leave the house. Overall it was a perfect weekend at the Beach Trail Beauty. We had a short stay in Oct and the house was just as pictured. We are already looking to stay again. The new beds were very comfortable. We had an excellent stay here. The staff was great, the house was nice and clean. The location was just what we wanted. This is a wonderful home, beautiful pool and patio. This beach is great, the water was nice and shallow with gentle waves. Perfect for a wide range of ages. The kids loved both the pool and the ocean. Plenty of room in the house, comfortable place to hang out. 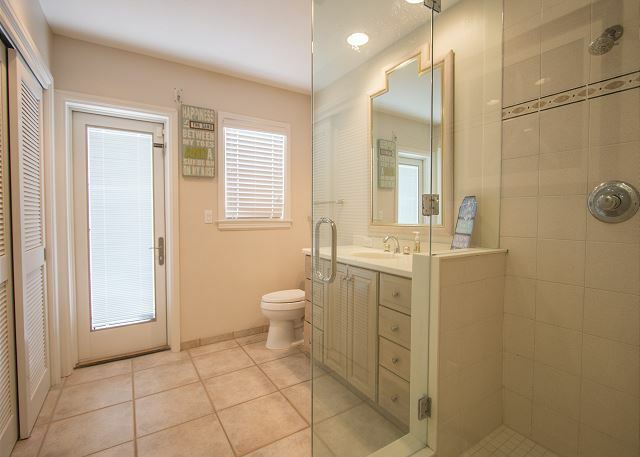 Loved the outside door to the bathroom so the kids did not have to run through the house, and also the outdoor shower. We enjoyed walking on the sand bar at night, had family photos taken at Sand Key park and took a boat ride from Clearwater Aquarium. The minute we walked through the door we were amazed. The home had every amenity we could have even asked for. It was clean and had all the features of "being home" not on a vacation. We stayed and played as a family. It was amazing. This will be our annual family trip every year now. 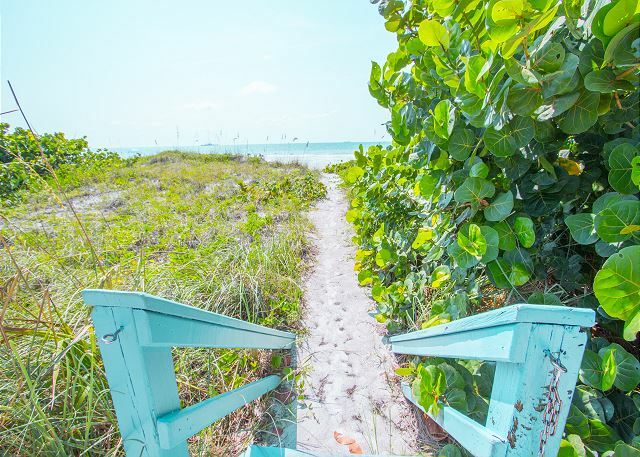 Great location and beach access. 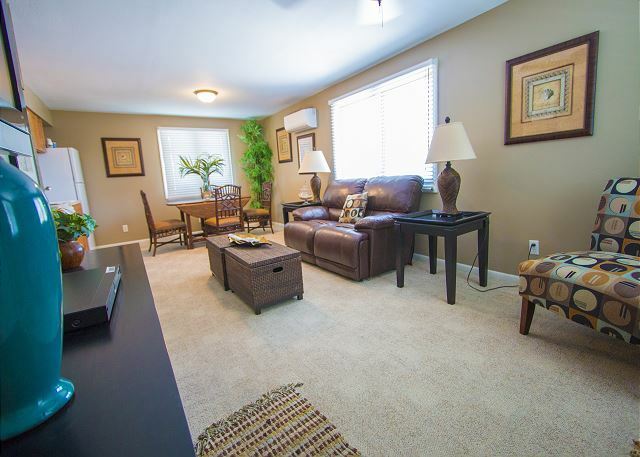 Home is in great condition with easy access to local businesses. loved beach, pool, putting green enjoyed by all. As beautiful as the pictures! This place had everything we needed and then some. We had a wonderful family vacation staying at the Beach Trail Beauty. We really enjoyed the pool and of course the gorgeous ocean front view. We were pleased with the convenience of the beach access, especially having children. Our family really enjoyed sitting outside on the beach front patio. We would have liked to use the fire pit more, however, obtaining fire wood was a bit challenging. We were told that most amenities/stores were in walking distance, however, we had to drive to the grocery store, souvenir shops, and restaurants. We enjoyed breakfast at Sandy's and had a fun night out at 18 On the Rocks Beach Bar and Grille, which are both in short walking distance. Anytime we needed anything, Shawn offered great customer service. 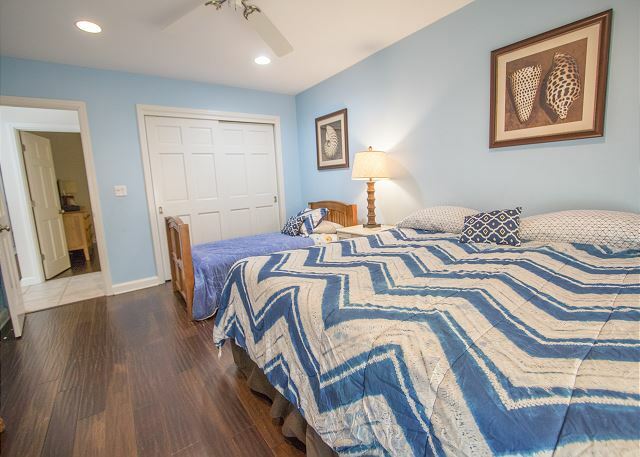 We would definitely recommend this property for a peaceful, relaxing, and beautiful family vacation rental. Had a great experience with this house. It was a bit expensive, but we wanted a house on the beach with a pool -- and this fit the description. When we got there, there were some light bulbs that were out and the dishwasher wasn't working, but Sean came right away to fix everything. Overall stay was great. We stayed at the Beach Trail Beauty with two other families and it was perfect! We will for sure be visiting again! We had 5 children in our group and they were busy the entire time! 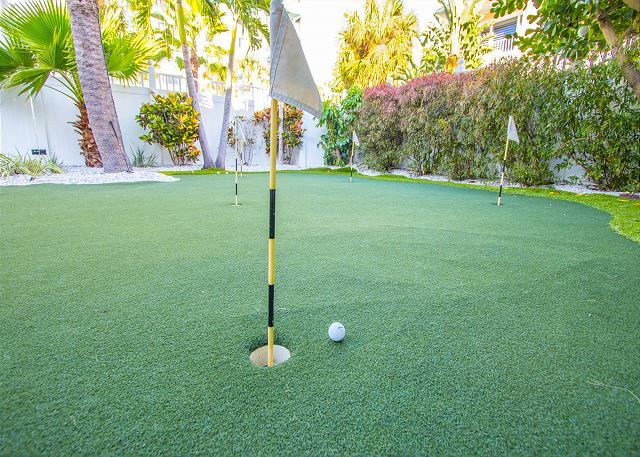 With the pool, the putting green, and the beach in the backyard, there was always something to do. Having a TV in the outdoor kitchen to cheer on Bucky was a motivator to have the husbands cook dinner :) We all enjoyed the fire pit to relax at night and make smores. The house supplies everything you could think of from fans to toys, to serving platters. The one thing I wish they would have had more of was towels. There were not enough towels for everyone in our group. Family get-together w/little kids for an entire week! 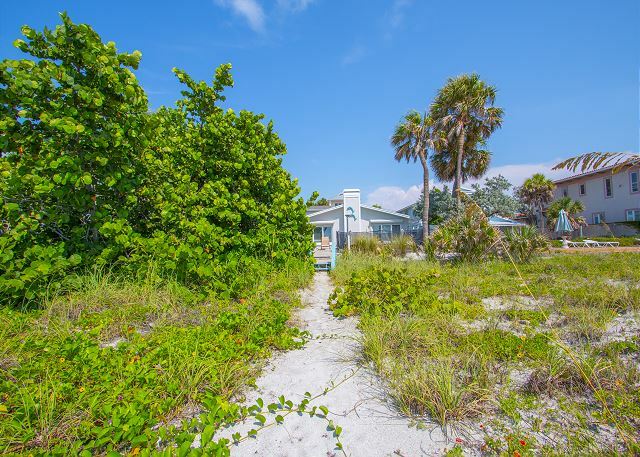 This beautiful beach home was in a fabulous location and I would highly recommend staying here. This rental had everything we needed and was extremely family friendly, including toys and games for the kids. Restaurants and bakery right in walking distance which was great. Also, we loved having a pool jacuzzi and direct beach access. The only thing missing were beach chairs, although they did mention in the contract that not all homes came with those. We will definitely plan in staying here again next year. 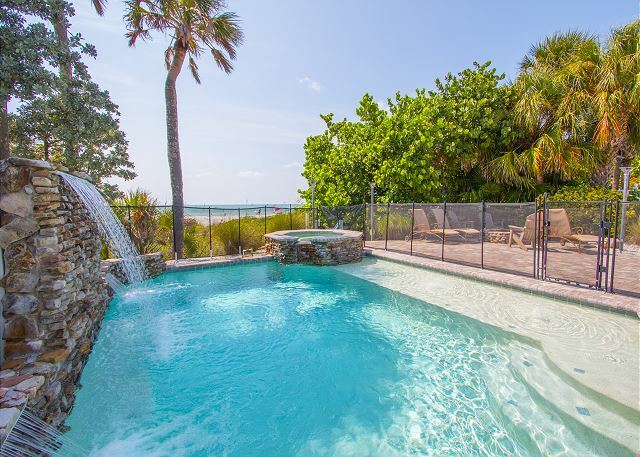 We loved the location of the property including the pool and immediate beach access. The beds are in need of new mattresses and pillows though. A good night's sleep is key when you are on vacation. This is our one and only suggestion! The rest of the home was great!! Thank you for the great feedback... We can not move on with out it. 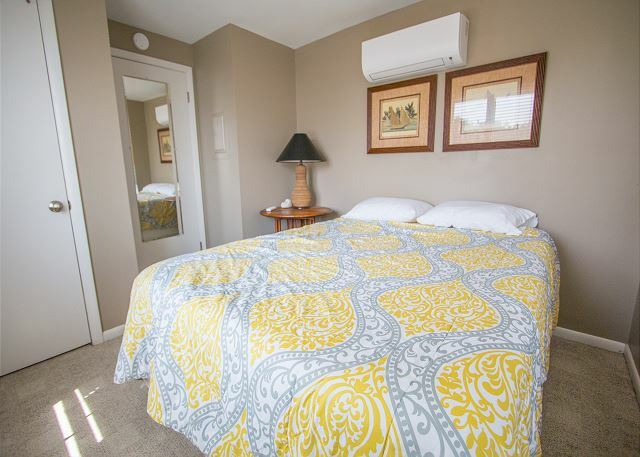 The mattresses and pillows are fairly new, but we do thank you for the feedback. 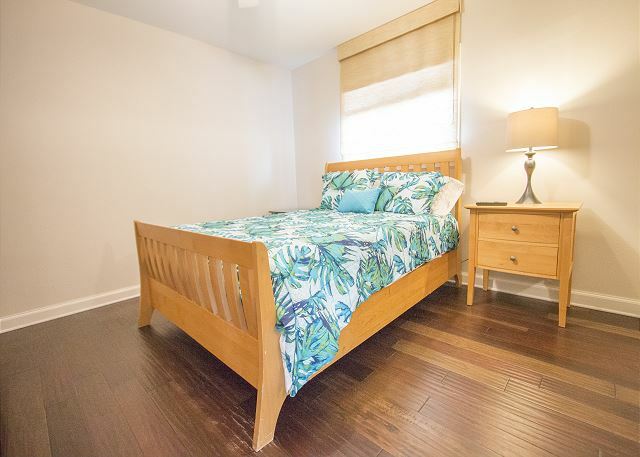 We have learned one person may like a mattress and the next may not, so if we do get multiple complaints then we will have the owner replace the mattress. 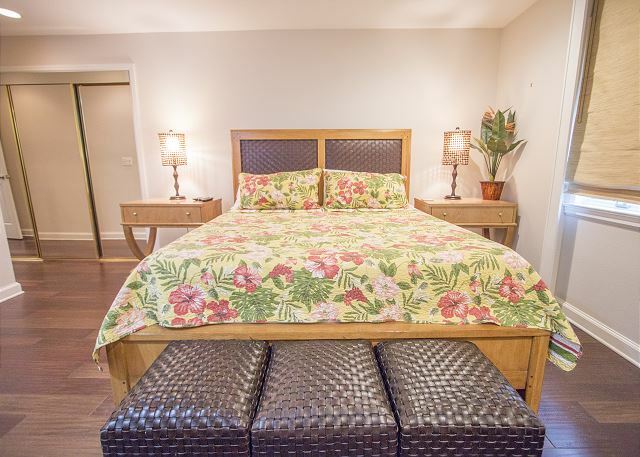 We understand that comfort in a vacation home is very important and we want you to sleep like you have never slept before! We had a lovely family vacation at this house, everything was great and we were all sad to leave. Lots of things for everyone to do at the house, pool is fantastic and the beach was so close! We loved our time at the Beach Trail Beauty! We found the property in good condition and clean. The location was also great. The only issue we had was trying to locate firewood to enjoy the fire pit... We looked everywhere!!! But overall we really enjoyed our time here and can't wait to return! lovely home everyone enjoyed the stay in this house. Beach access wonderful. Thank you for such a wonderful Look forward to having you back soon! We had a beautiful week and enjoyed every moment. The home was very cozy, clean and convenient. 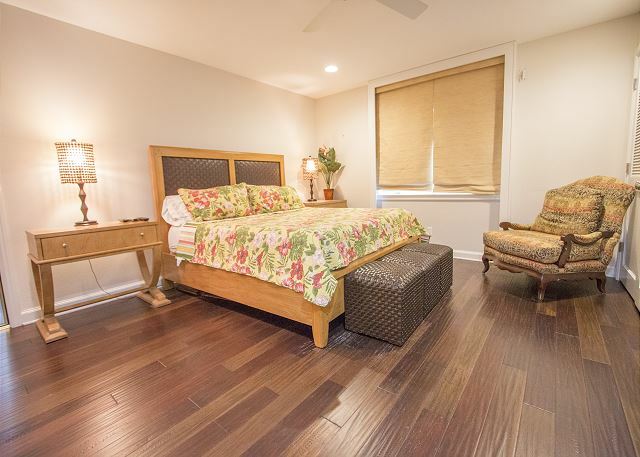 We would stay again and definitely recommend this home to anyone. We are so happy that you enjoyed your stay! Please come back to us anytime! Family get together for remembering my brother. 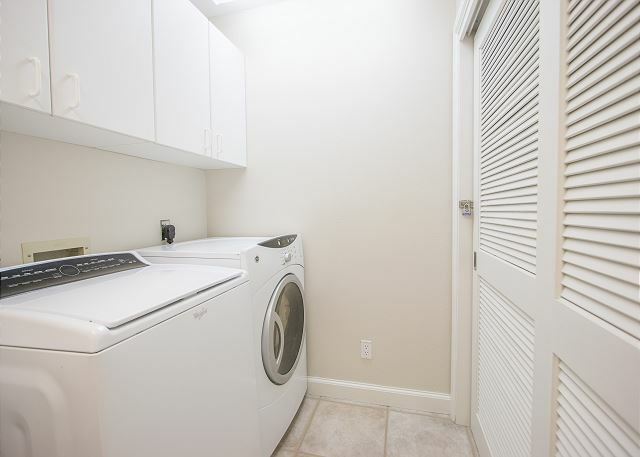 Loved the location and the space of the rental house! Plenty of room for us to enjoy each other and especially loved the outdoor area. 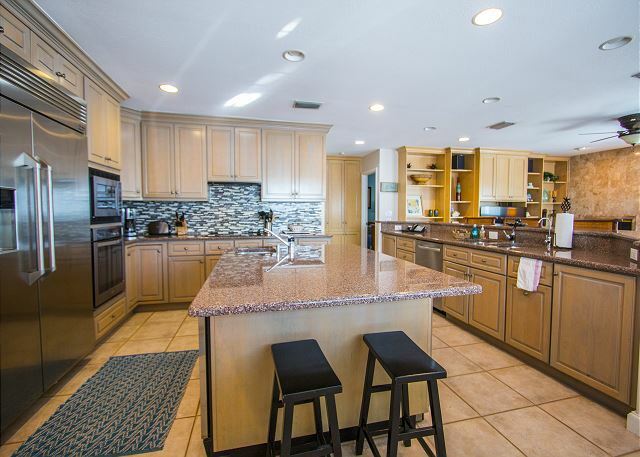 The large kitchen was stocked with everything you need to cook with; dishes, pot & pans, coffee makers, and there was even plenty of pool and beach supplies. We enjoyed the pool and hot tub immensely along with the sunsets from the pool. Another plus was having a garage for our cars. Great time and Great memories! Only negative for me were that the king beds were very firm. I prefer a softer bed. The house, location, and staff were all wonderful! This was a very unique experience for us and we loved our time on the beach. We have told all of our friends about it and have recommended that they utilize for their vacations. The pictures of the house are a little bit deceiving in size of the kitchen and living room but the quality was magnificent. We would return if the opportunity presented itself again. Thank you for letting your friends know about us! Please let us know anytime you are looking to come back. We can not wait to have you back! I, my wife, & 2 young daughters sure had a great time at Beach Trail Beauty. Loved the proximity to the beach and the convenience of the pool when the girls needed a break from the Gulf. Great property & we hope to come back soon! We are so glad you were able to enjoy your much needed break! Thank you for all you do! Overall our experience in the house was great. Loved the pool and being so close to the beach. We did have one issue with the shower in the hallway bathroom maintaining hot water. We initially thought it was the hot water system in the house and maintenance was very prompt in checking it for us. They said there was nothing wrong with the hot water but all week the shower was only hot for a minute or two no matter how long we ran the water. We just utilized the outdoor shower which was ok with the kids. We had a great week with family and would recommend the house and BeachhouseFL to anyone! The beach house was lovely! 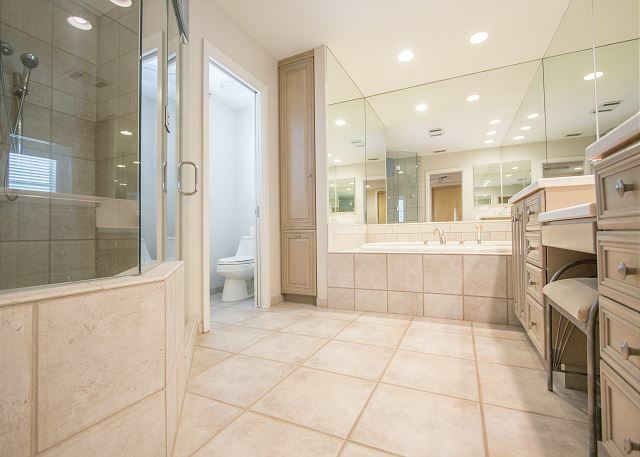 Overall, beautiful home and location! Outdoor space excellent and spacious. Nice area to grill and the kids loved the outdoor TV. 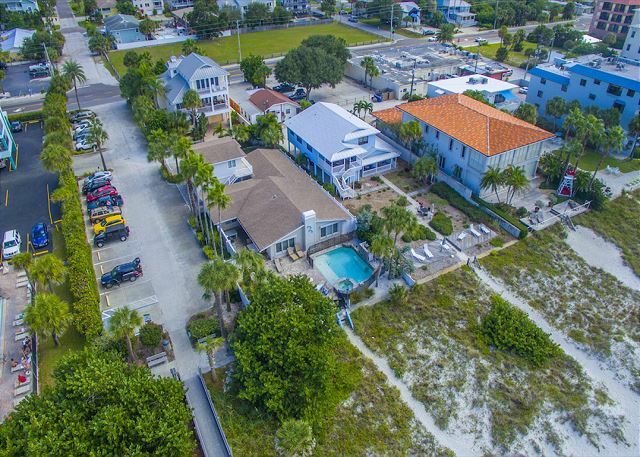 Great location on the beach and accessibility to restaurants on Gulf Blvd. Pool was nice. Hot tub nice as well, but difficult to regulate temperature even after advise from the pool guy. Always ran hot. Interior of home beautiful and comfortable. 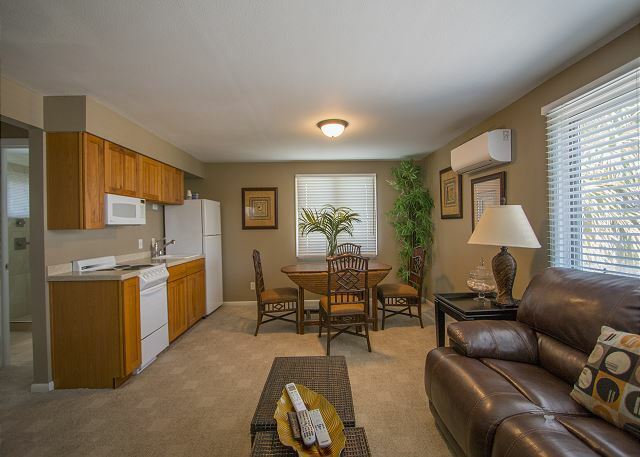 The kitchen is spacious and has most items you would need. The ice maker was a big plus. Cute little apartment over the garage. 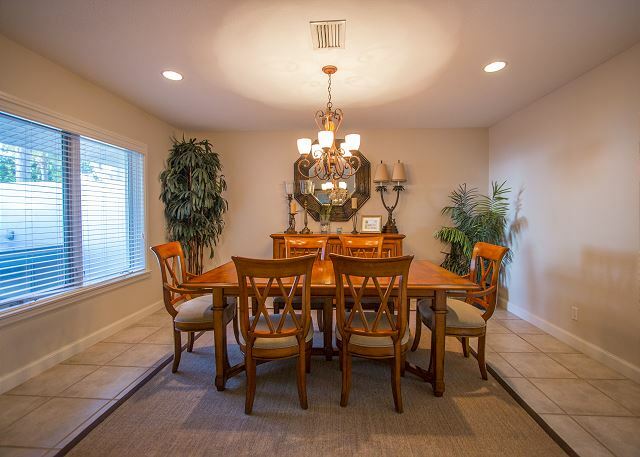 Overall, beautiful home, beautiful location and we would rent it again. Must try the Paris bakery around the corner. The croissants are amazing!!! This home had a perfect layout for our family of grandma/pa, two grown sons and their families. Our 4 year old grandtwins were in heaven with all the pool toys and other child friendly games. Having the pool AND beach right there was extra convenient. This house was ready and very clean upon our arrival. It was extremely well equipped and everything worked perfectly. We would definitely stay there again and would strongly recomend it to others. Numerous interesting points of interest nearby and several good restaurants and bars in close proximity. Our holiday couldn't have been better, mainly because of this well appointed home. Even though the temperature was cool at times and winds were gusting, this well protected location allowed us to remain outdoors, enjoying the heated pool, hot tub, and large fire pit. It was a wonderful vacation for my family. The location of the house could not have been more perfect, Beautiful, Beautiful home directly on the beach with every amenity you could ever want. The management company was also superb. We will return. 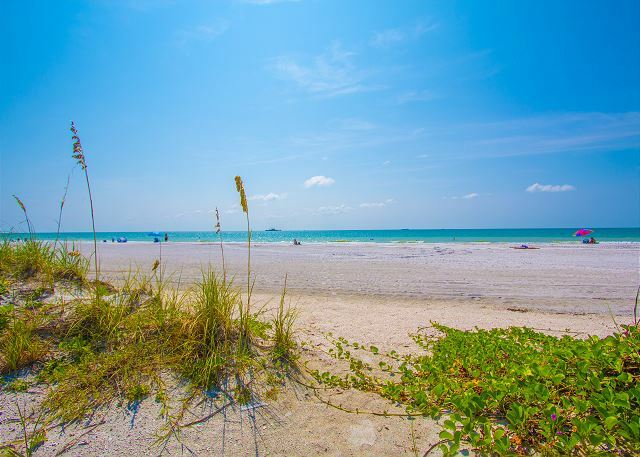 Great time at Indian Rocks Beach! We really enjoyed this home. All on one level except for the apt. Was very helpful with our little ones! Loved the pool, spa & firepit! Great vacation house, beautiful location. We enjoyed the pool as much as our kids did. We loved to go for a beach walk almost every day and collect sea shells. We felt like at our own home!!! The management company was very helpful and responded quickly to any issues or questions we've had. We would recommend bringing your own beach towels, since we didn't find any at the house. Thank you for making our stay comfortable and our memories unforgettable!!! Love this Beach Home!!! Will definitely be back again! My family and friends rented Beach Trail Beauty for one week and the location alone was incredible! The house was perfect for everyone including two toddlers. I wouldn't change a thing about it!